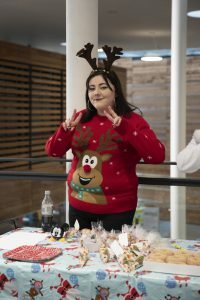 The level 5 and 6 photography students were in festive mode at the Easterhouse campus with their bake sale and portrait photography shoot. 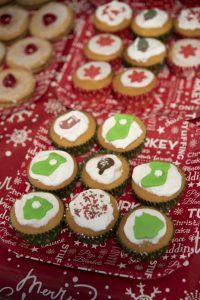 As part of the student's Enterprise slot - both classes produced some delicious confectionery and offered festive themed portrait sessions. 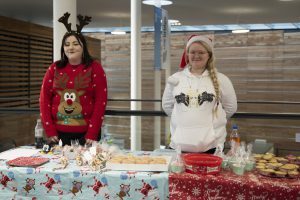 Students and the general public were more than happy to take up the offer. 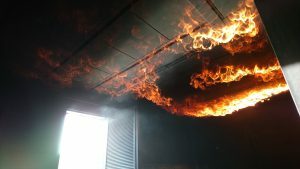 Funds raised will go towards the end of year exhibition and the accompanying book of images. Our 2nd cohort of barbering trainees at - 'MADE' The Academy for Modern Barbering - successfully exit our academy door on Friday 14th December. After 15 weeks of intense training under the eye of Rebel Rebel Alan Findlay, Graham Jack and Tracy Leavy our dedicated trainees enter the world of barbering with technical, creative and confident skills any barber would be proud to show off. Zoe, Ross, Adam, Robbie, Lewis and Jack all arrived with no previous experience but with a drive to succeed and wow they have. Clutching a Level 2 City and Guilds Barbering certificate, enviable unique Rebel barbering skills and of course their scissors and comb they are fresh ready to make their clients 'look sharp'. 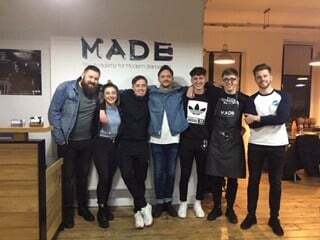 We wish them every success as they embark on the exciting journey to make their name in the barbering industry and we are super proud they do so waving the 'MADE' banner - good luck guys, it's been a pleasure!!. 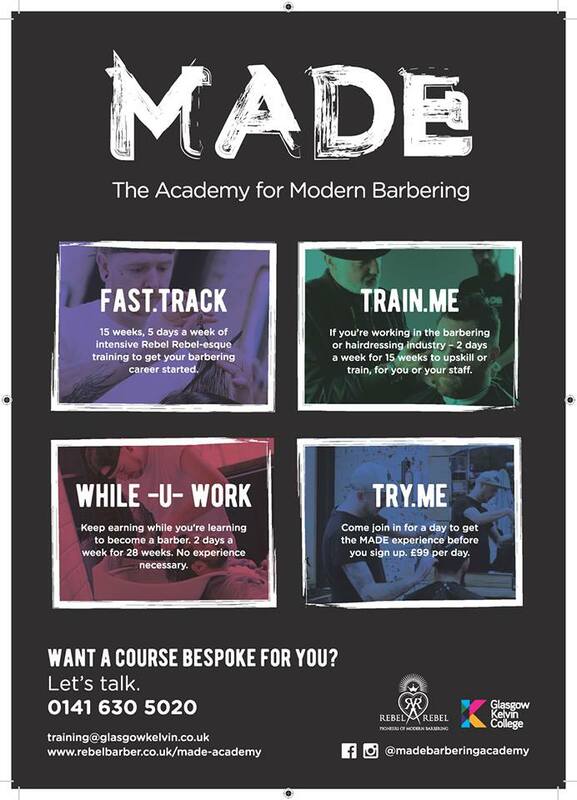 A New Year brings new courses to the academy with an extension to our portfolio with varied mode/target of delivery along with a 'Try Me' option to have a go before you invest in your barbering future - Exciting times! 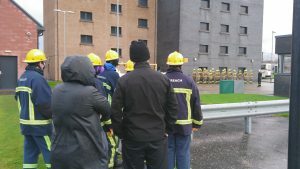 Transitions learners last week attended a 4 day Fire Reach course where they undertook basic training with the Scottish Fire and Rescue Service. 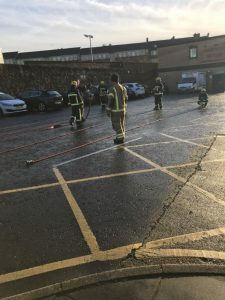 The young people were challenged to use communication, teamwork and leadership skills to navigate obstacles in dark rooms and rescue casualties, and learned how to connect a hose to the hydrant. All the young people enjoyed the experience and were successfully awarded certificates for completing the course. This will also contribute to the young people’s Bronze Youth Achievement Awards at SCQF4. 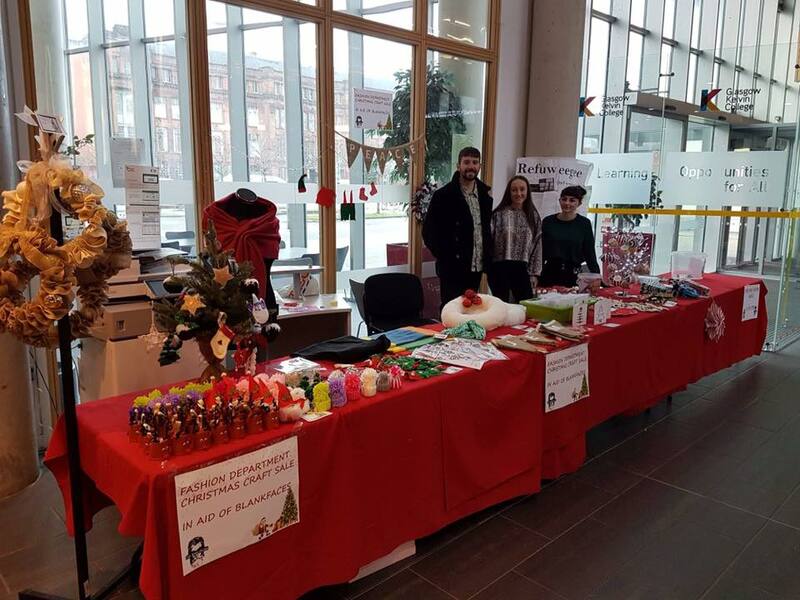 The Fashion department held their annual Craft sale, from Tuesday the 4th to Thursday the 6th of December in our Springburn campus reception area. 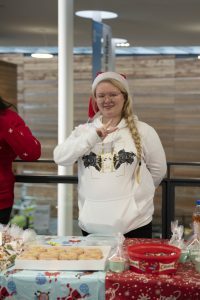 The student sold a selection of handcrafted items, which proved popular with staff and fellow students. 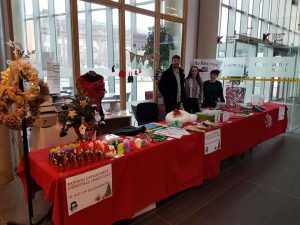 A huge thank you to everyone who supported their Christmas craft sale, which was in aid of The Blankfaces, a homeless charity based in Glasgow and bought their handcrafted creations and raffle tickets. 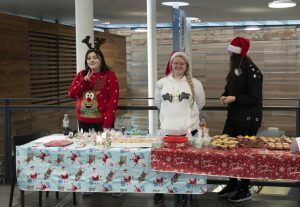 The students raised a total of £759.30. 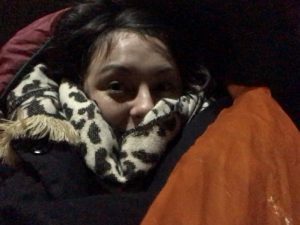 On Saturday 8th December Donna Vico Linde participated in the Social Bite charity’s sponsored Sleep in the Park 2018 event in Glasgow’s Kelvingrove Park. 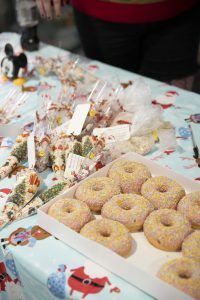 The event took place in 4 cities across Scotland on one night to raise funds and awareness to end homelessness in Scotland for good. 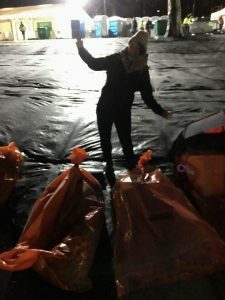 The money raised will fund a program for 800 rough sleepers in Edinburgh, Glasgow, Dundee and Aberdeen to get a mainstream property with wraparound support, as well as a host of other initiatives. 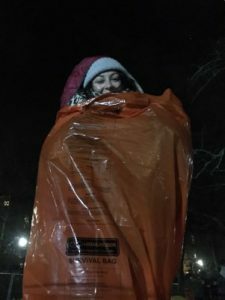 While Donna was cold, uncomfortable and felt exposed and vulnerable, one night in the park was nothing compared to having to sleep out night after night. Hopefully the funds raised can make a real difference to the lives of homeless people in Scotland.